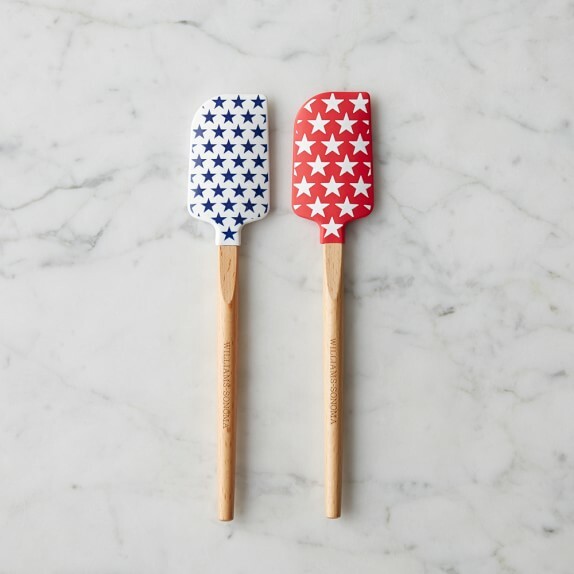 My 2015 July 4th All American RED WHITE & BLUE Picks from Williams -Sonoma for decorating, dining, eating, crafting and of course Fireworking! Fourth of July Mini Spatulas, Set of 2 - From summer baking to Fourth of July barbecues, cooking is a blast with our star-spangled spatulas. 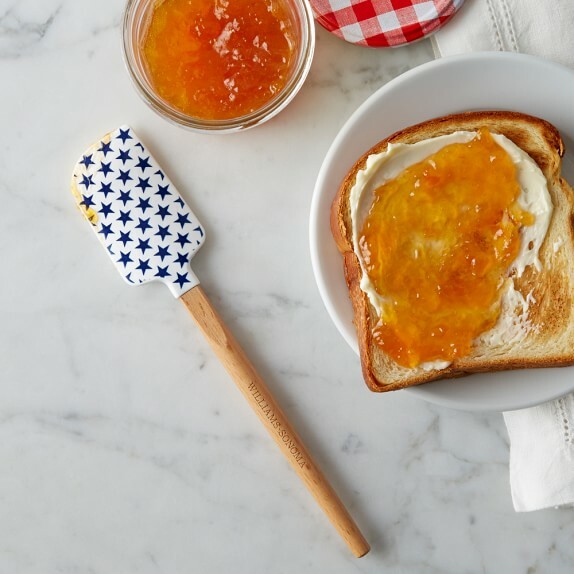 The slim size is great for scraping and scooping from blenders and small jars. 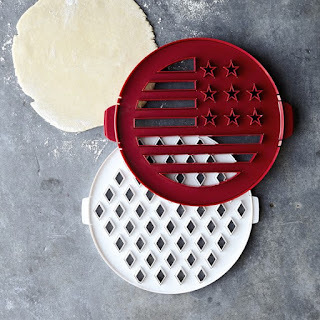 Flag Pie Crust Cutter - Our cutter makes it easy as pie to create a flag-inspired pastry crust decorated with stars and stripes. 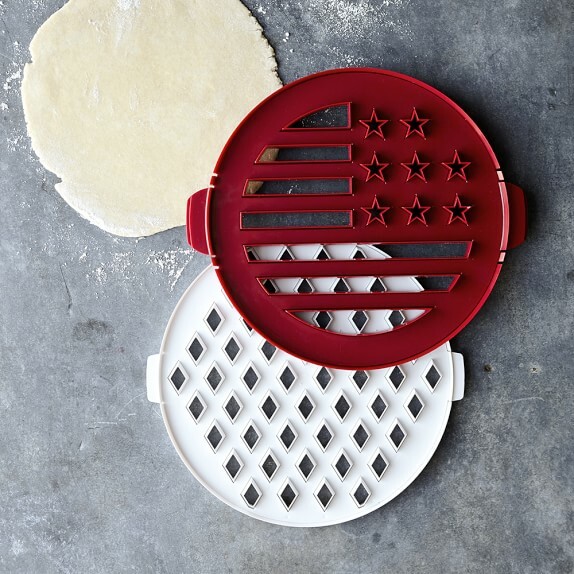 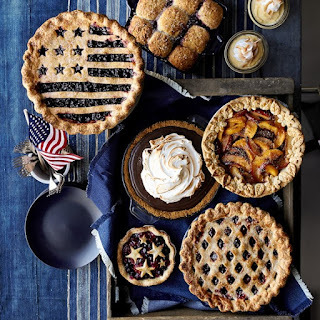 Great for patriotic pies, it quickly cuts a perfect decorative crust from a single piece of dough. 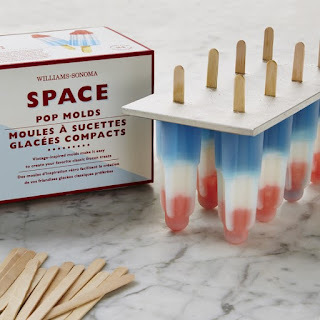 Classic Space Pop Molds - Intergalactic fun starts with our retro space pop molds. 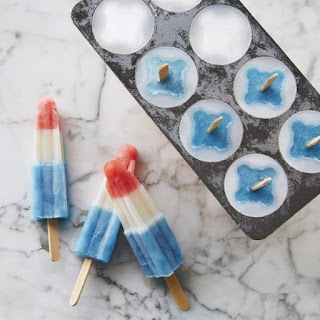 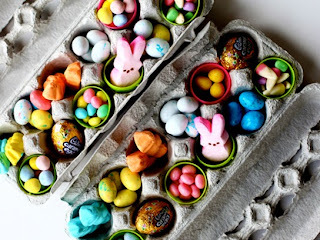 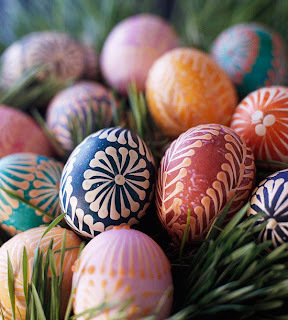 Just fill them with your favorite ingredients, from fresh juices and fruit purees to ice cream and yogurt. 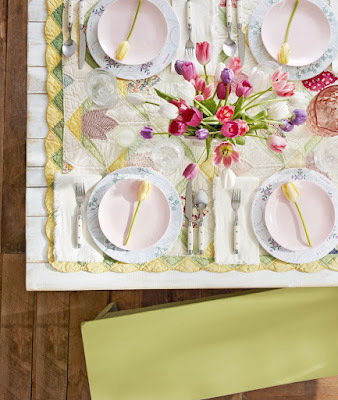 Create your own flavor combinations, or try layering different colors and textures. 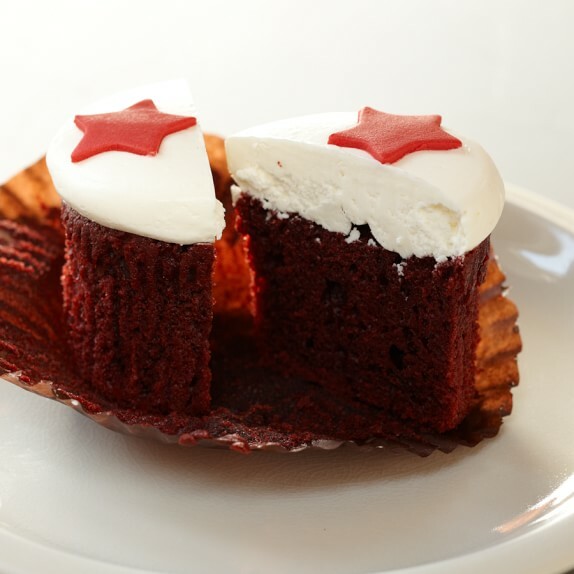 Patriotic Cupcakes, Set of 9 - Our all-American cupcakes are a sweet way to show your patriotism or ideal for celebrating holidays like the Fourth of July. 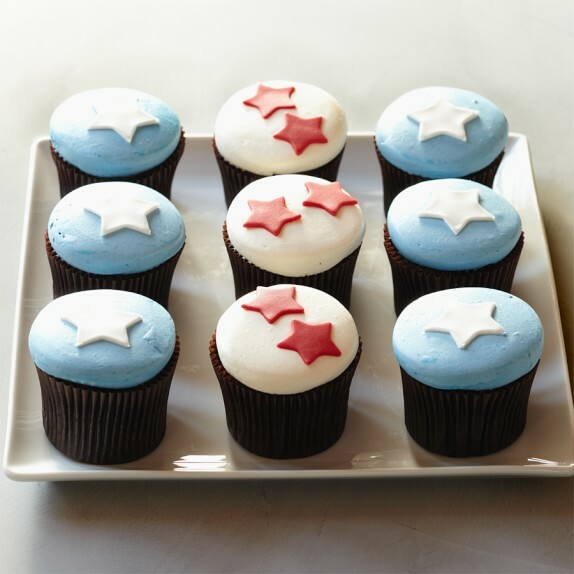 Made for us by Chicago’s famous More® bakery, they’re crafted by hand in small batches, using the very best ingredients for premium quality and scrumptious flavor. A perfect gift or festive dessert for your holiday celebration, the nine-piece sampler includes three flavors:Chocolate Vanilla: Deep dark Belgian chocolate cakes topped with vanilla buttercream frosting.Vanilla Valrhona: Moist vanilla cakes filled with creamy Valrhona chocolate mousse and frosted with vanilla buttercream and topped with a white fondant star.Red Velvet: A Southern classic, with light, super-moist chocolate-cocoa cakes lavishly topped with rich cream-cheese frosting.